Forbes has come up with a list of the World’s Most Expensive Cellphones. These phones are the Rolex version for mobile but I dont think mobile phones will ever be as popular as collectible watches or cars simply because of the pace in mobile technology. The rapid pace of innovation in mobile technology means phones don't appreciate in value the way a Rolex does. 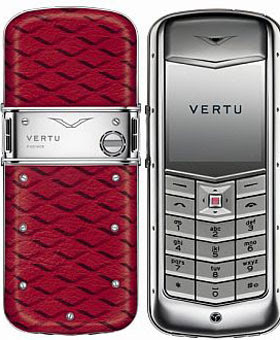 There will be a luxury market for high end mobile phones but its very niche and plenty are buying them as Nokia's Vertu had recorded triple-digit growth in 2006 and 2007 and is now in expansion mode, opening more stand-alone boutiques, including its first U.S. shops, in the Wynn Las Vegas and Plaza (New York) hotels.